This month’s bumper issue celebrates two things: our twentieth issue, and the fact that last month our circulation reached a record high of nearly five thousand readers. If you have not yet ‘subscribed’ please do so. Subscription is free, and we guarantee not to pass your details onto others. Subscribers receive notifications of new issues and other announcements. Please tell your friends/colleagues about Vidimus and consider providing a link to us on your website. Please let us know your comments. We welcome your feedback, suggestions and stories. If you or your organization would like details of how to sponsor an issue, please email us. Vidimus wishes all its readers a happy and restful summer! 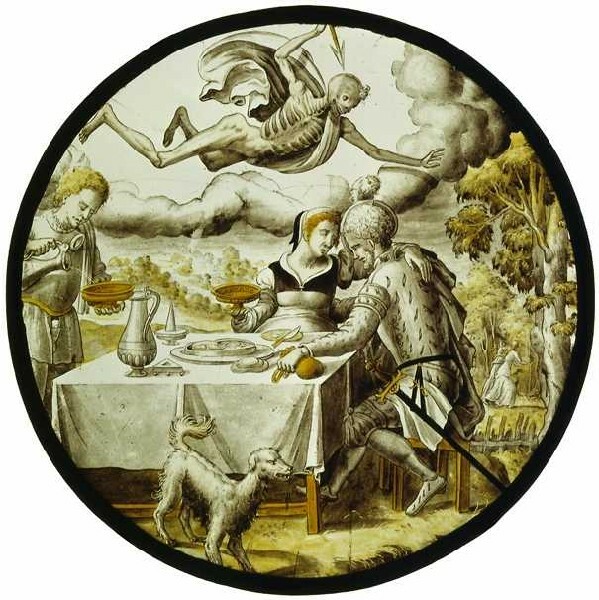 A wonderful exhibition of sixty-eight fifteenth- to seventeenth-century Flemish panels and roundels is being held at the Vitro Musée, Romont, Switzerland, until 2 November. For details of opening hours and other information visit, the museum’s website. For more on roundels, visit the news section of Vidimus no. 14 (January 2008), ‘Roundels of Light’. 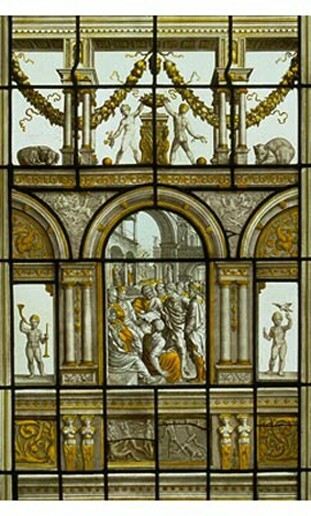 An important design for a window by the sixteenth-century Dutch stained-glass painter Dirck Pieterz Crabeth has recently been auctioned in London by Sotheby’s Fig. 1). Executed in pen and brown ink over black chalk, the drawing measures 273 x 366 mm (10.7 x 14.4 in.) 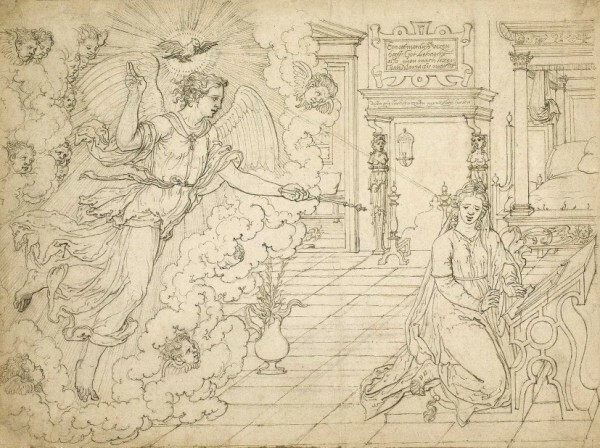 and shows the Annunciation. It fetched more than £73,000. The design includes two inscriptions from Luke I: 48–49. On a cartouche above the fireplace is ‘Een ootmoedich Wezen / heeft Got behaecht / also men mach lezen / van Maria die maecht’, and below the mantelshelf of the fireplace is: ‘allen gheslachten zullen myn zalich heten’. 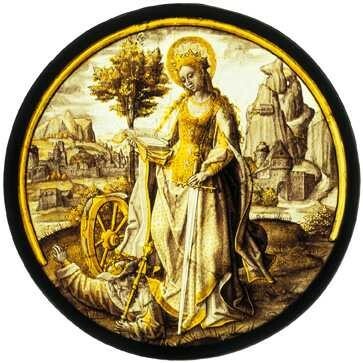 According to CVMA (US) author Timothy Husband, Crabeth was born in Gouda, Netherlands, c.1501 and died in 1574. 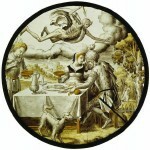 Little is known of his training, but the influence of artists like Jan Swart van Groningen (c.1500 – c.1558) is evident in his earlier works, and that of Frans Floris (c.1517 – 1570) in his later years. 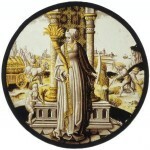 Crabeth is also thought to have travelled to Italy, but any such journey must have been made during the earlier part of his career, as he is recorded in the city archives of Gouda from 1545 until his death in 1574. 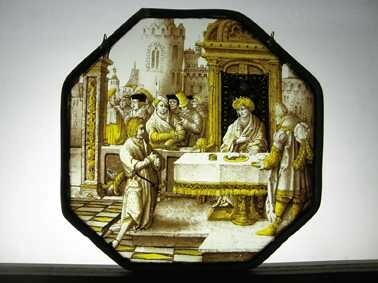 Crabeth’s earliest recorded work is a window made for the Catharijneconvent, Utrecht, in 1540. 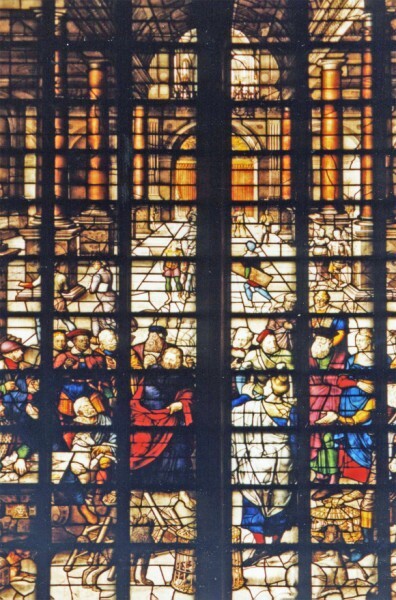 Subsequent commissions included windows for churches in The Hague, Delft and Amsterdam. One of his most significant commissions was from a secular patron, Adriaen Dircxz. van Crimpen, a prominent member of the government. 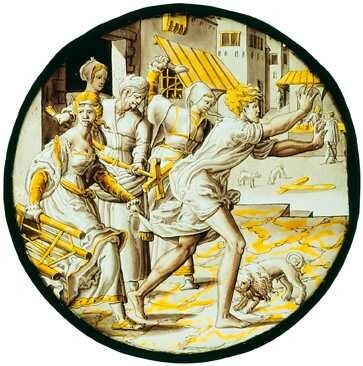 In 1543, Crabeth designed and painted twelve panels showing seven scenes from the First Book of Samuel in the Old Testament and five scenes from the Acts of the Apostles for van Crimpen’s house in the Pieterskerkgracht, Leiden. The house still stands, and eight of the surviving panels are now in the Musée des Arts Décoratifs, Paris, each consisting of a main, central, image with a highly decorative architectural surround, complete with swags, putti, birds and animals (Fig. 2). The greatest ensemble of drawings by Crabeth consists of a unique surviving set of actual size cartoons made with his brother, Wouter, for the windows of the church of St John in Gouda after the church had been struck by lightning and burned in 1552. 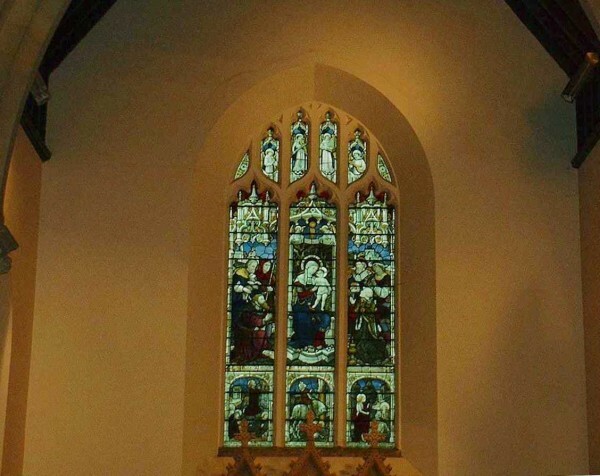 When the church was rebuilt, Dirk and his brother were commissioned to design and paint the new glazing scheme. The windows were of extraordinary height with openings of 18m (60 ft). The work began in 1555 and was completed in 1570, four years before Crabeth’s death. 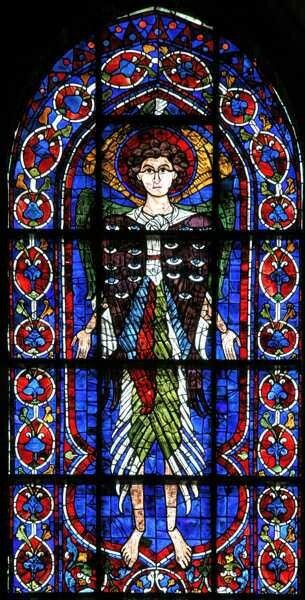 More significantly for stained glass lovers, the glass itself survives. To see more images of Crabeth’s designs for stained glass, visit the website of the Rijksmuseum. Vidimus is grateful to Kees Berserik for his help with this item. 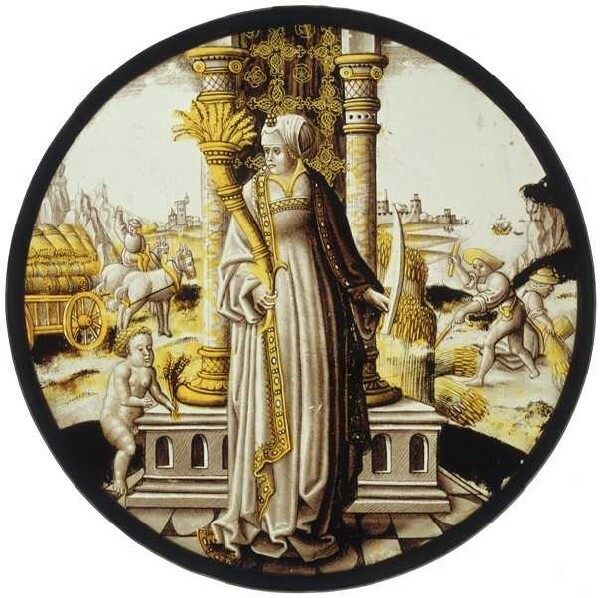 Seventeen Swiss and South German panels together with fifteen Flemish roundels are on show in an exhibition in the Old Town Hall, Villingen, Germany, until 13 July. The panels are being displayed with a collection of ceremonial weapons, and the exhibition has been organized by the Franziskaner Museum. Opening times: Monday: closed; Tuesday – Saturday: 13.00–17.00; Sunday 11.00–17.00. The 2008 annual conference of the British Society of Master Glass Painters (BSMGP) will be held in Bristol 28–31 August. As usual, the event promises to be both hugely interesting and great fun. Excursions include trips to churches and chapels in Bristol featuring glass that ranges in date from the medieval period to the present day, and a day in Wells that will include visits to the cathedral, the parish church of St Cuthbert, and Bishop Bubwith’s almshouses, as well as a tour of Steve Clare’s Holywell Glass conservation studio. On Sunday 31 August, there will be an excursion into Somerset to see the National Trust’s recently restored Tyntesfield House and to visit Rosalind Grimshaw’s studio. Lecturers include CVMA authors Dr Tim Ayers and David O’Connor; Steve Clare, stained glass advisor to the National Trust; and the Bristol-based BSMGP Fellow and stained glass artist, Geoffrey Robinson. The fully inclusive cost for three nights accommodation at the University of the West of England campus, plus meals and visits is £270 per member. The cost to non-BSMGP members is £308, which is still very good value. For further information visit the BSMGP’s website. 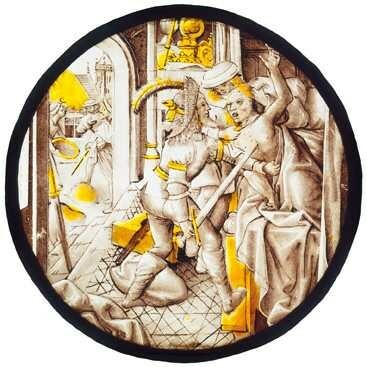 To see images of glass at Wells Cathedral, visit the CVMA Picture Archive. 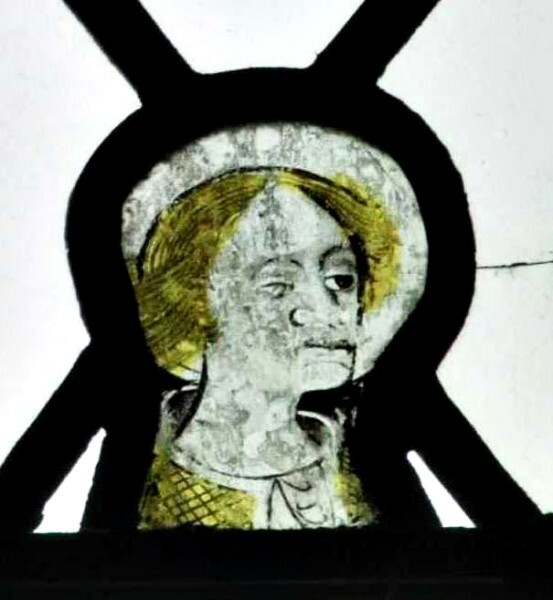 CVMA Chairman Sarah Brown will be speaking about the stained glass of Bristol Cathedral during a special conference devoted to medieval art and architecture at the cathedral 19–21 September. 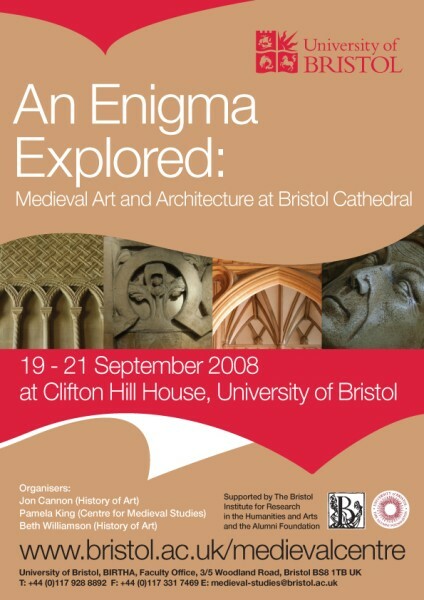 Organized by Bristol University’s Medieval Centre, the conference will be held at Clifton Hill House. For further details visit Bristol University’s website. 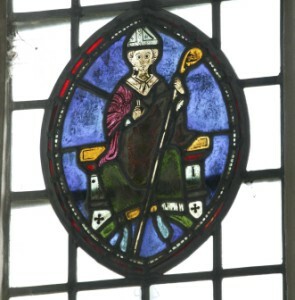 On the glass, see M. Q. Smith, The Stained Glass of Bristol Cathedral (Bristol, 1983), and A. Sabin, ‘The Fourteenth-Century Heraldic Glass in the Eastern Lady Chapel of Bristol Cathedral’, The Antiquaries Journal, xxxvii/1–2 (1957), pp. 54–70. 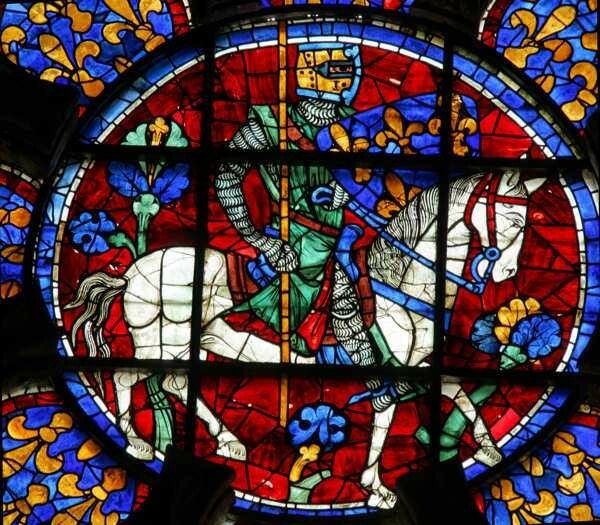 Two important thirteenth-century windows in the apse of Chartres Cathedral have been re-installed after cleaning and restoration. Window 103 depicts David and Ezekiel and a magnificent cherub, with butchers as donors below (Fig. 1). Window 105 shows St Peter receiving the keys of the kingdom from Christ, and leaving prison and meeting Jesus at the gates of Rome, with bankers as donors (Fig. 2). The first of the choir windows on the north side (window 107c) has also been returned (Fig. 3). 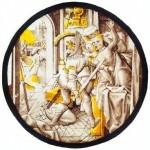 This consists of modern grisaille in the main lights and, in the rosette, a magnificent portrayal of the dauphin Louis – the future Louis VIII – on horseback, dressed in armour, and carrying a lance and shield with the coat of arms of France. Apart from visiting the cathedral and seeing the treasures in the town church of St Pierre, visitors to the city might also enjoy two current exhibitions displaying the work of modern stained glass artists. The first is being held at Le Centre International du Vitrail, and is a retrospective exhibition of fifty works by Udo Zembok, tracing his career from Amsterdam in 1977, through his civic work for the city of Troyes, to his 2006 creation of ‘Un rideau de lumière’ (‘a curtain of light’) for the cathedral. Further information can be found on the website of Le Centre International du Vitrail. The second exhibition is being held in the Galerie du Vitrail, by the north door of the cathedral, and is open Tuesday to Saturday. 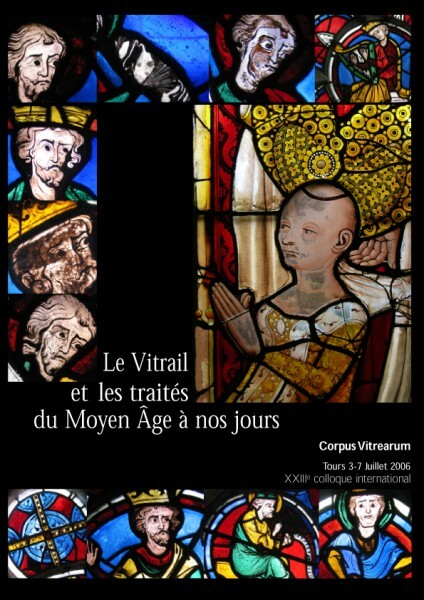 Entitled ‘Vitrail Traditionnel – Expression Contemporaine’, it displays the work of twelve contemporary artists: Claire Alary, Eric Chevallier, Guy Desrez, Valérie Gaugeac, Guy Lévrier, Hervé Loilier, Aristide Najean, France de Ranchin, Lydia Tabary, France Wagner, Leslie Xuereb Amiel, and Denise Zayan. Vidimus is grateful to Painton Cowen for his help with this item. CVMA (US) author Mary Shepherd has contributed an important article on ‘Memory and Belles Verrières’ in a volume of essays dedicated to Romanesque Art and Thought in the Twelfth Century produced in honour of Walter Cahn, emeritus professor of the history of art, University of Yale. Mary’s chapter explores how two Romanesque Belles Verrières (a fifteenth-century term denoting a window saved from an earlier structure and incorporated into a new architectural setting) were used to symbolize the past within the present, links of memory, and continuity between the old and new in sacred buildings. 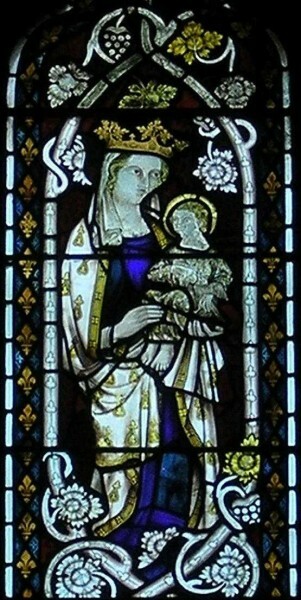 Although concentrating on images of the Virgin and Child in Majesty at Vendôme, La Trinité (a twelfth-century window rescued and installed in the new church of the 1270s, Fig. 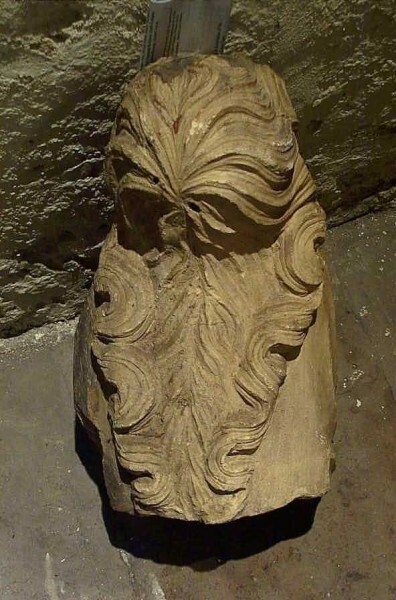 1), and the better known example at Chartres Cathedral (saved after the fire of 1194 and reinstalled in the new church sometime in the first quarter of the thirteenth century, Fig. 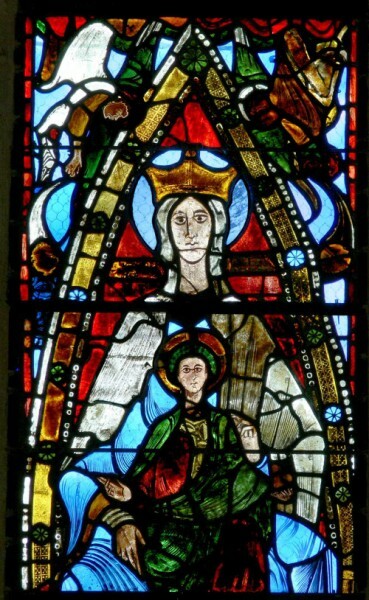 2), the author also uses the same themes to nuance the transition from Romanesque to Gothic styles of art, showing how a window depicting the Virgin and Child made for Angers Cathedral c.1230–35 deliberately imitated or reproduced the earlier Romanesque style in order to symbolize continuity and memory within the church. See our Books page for more details. In Vidimus no. 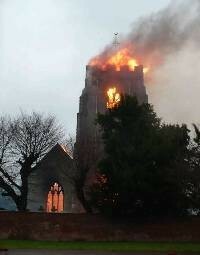 17 we reported on a horrendous fire at St Nicholas’s church, Radford Semele (Warwickshire), which completely gutted the church, destroying what was thought to be a window by the Victorian glass artist C. A. Kempe. This attribution has now been revised. John Burlison (1843–91) and Thomas Grylls (1845–1913) trained with Clayton & Bell before forming their own business at 23 Newman Street, London, in 1868, with the help of the architect George Bodley. The son and two daughters of Thomas Grylls all assisted with the cartoons. 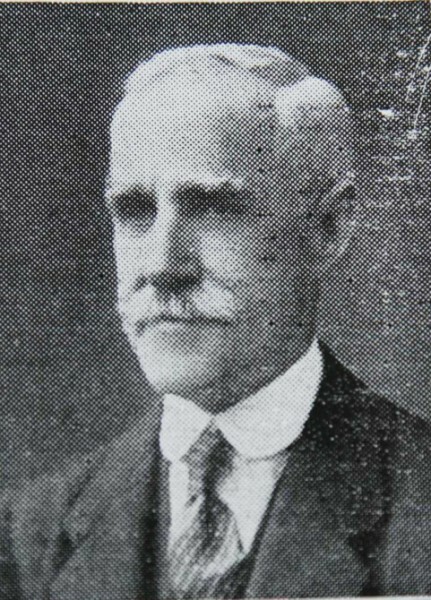 The firm was taken over by Thomas Henry ‘Harry’ Grylls (1873–1953) in 1913 and continued in business until his death in 1953. In 1884, Thomas Grylls and his wife and twelve children moved into Burgh House (built 1704) in Hampstead, north London. It now houses Hampstead Museum and can be visited. For further information and opening times visit the Burgh House website. Good examples of the firm’s work can be seen at Ellesborough (Buckinghamshire) and Rowington (Warwickshire). Aidan McRae Thomson has photographed Burlison & Grylls windows of the Nativity at Buckland (Oxfordshire), and of the Crucifixion at Buckland and Brackley (Northamptonshire). The parishioners of St Nicholas are keen to find out more about the windows in the church as they begin the process of restoration and rebuilding. Arson is now suspected as the cause of the fire. To view progress, visit the church’s restoration website. A magnificent window by William Morris & Co of c.1898 can be seen at the recently reopened Huntingdon Art Gallery in San Marino, California, USA. 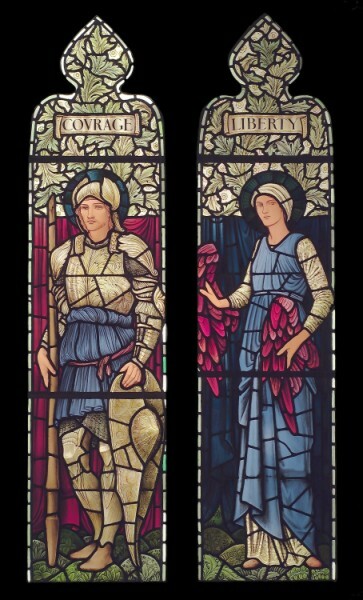 Housed in the former home of Henry and Arabella Huntington, the fifteen-foot-tall window was designed by Edward Burne-Jones (1833–98) and depicts Humility, Mercy, Generosity, Charity, Justice, Liberty, Truth, Love, Faith, Courage, as figures in the style of medieval saints. The window was acquired by The Hungtindon in 1999 from Sanford and Helen Berger, Carmel, California. 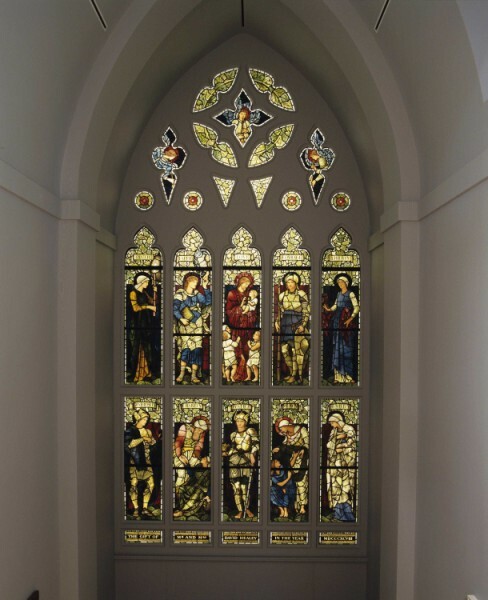 They had purchased it at Sothebys in 1967 following the demolition of the Britain Hill Unitarian Church, Heywood, near Rochdale in Lancashire, for which the window had been made in 1898. The glass was given to the chapel by Alderman David Healey (d.1931), a philanthropic businessman and twice mayor of the town, and is now known as the David Healey Memorial Window. Vidimus is grateful to Janet Byrne of The Local Studies Centre, Rochdale, and Thea Page and Melinda McCurdy of the Hungtindon Library and Art Gallery for their help with this item. 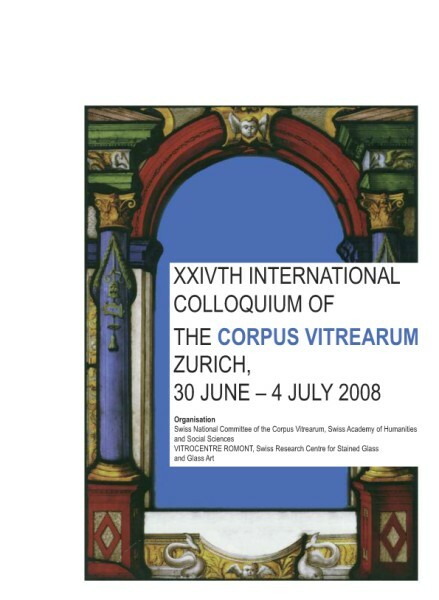 The proceedings of the 23rd international colloquium of the Corpus Vitrearum Medii Aevi (CVMA) held in Tours in 2006 have just been published by the French committee of the CVMA. 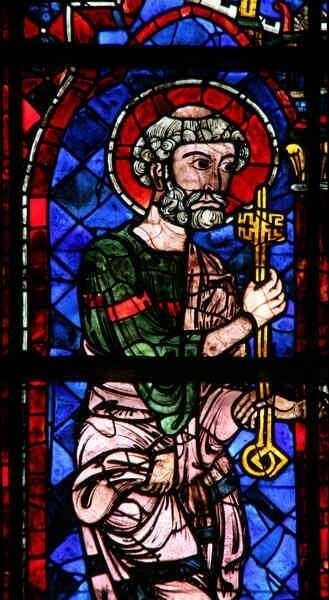 The conference was devoted to a study of treatises and recipes concerning stained glass from the middle ages until the present day. The book includes transcripts of all the lectures in their original language (French, English and German), together with summaries in all three languages (see our Books page for more details). The publication of this important book coincides with XXIVth international colloquium in Zurich, hosted by the generosity of the Swiss committee. A full report of this event will appear in our next issue. 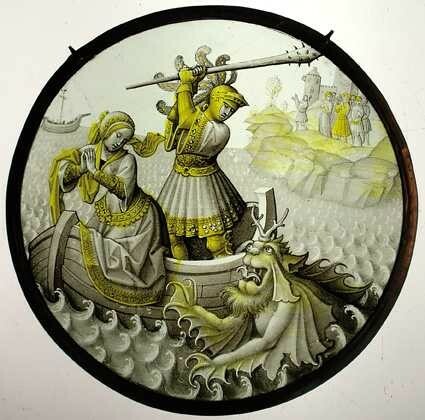 17 July Ely Stained Glass Museum summer lecture, given by Carola Hicks on the stained glass of Kings College, Cambridge. See Vidimus no. 19. 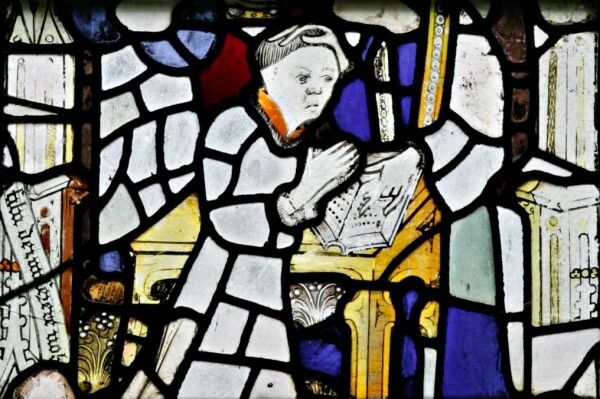 15–18 July Harlaxton Medieval Conference lectures on stained glass. See Vidimus no. 19. 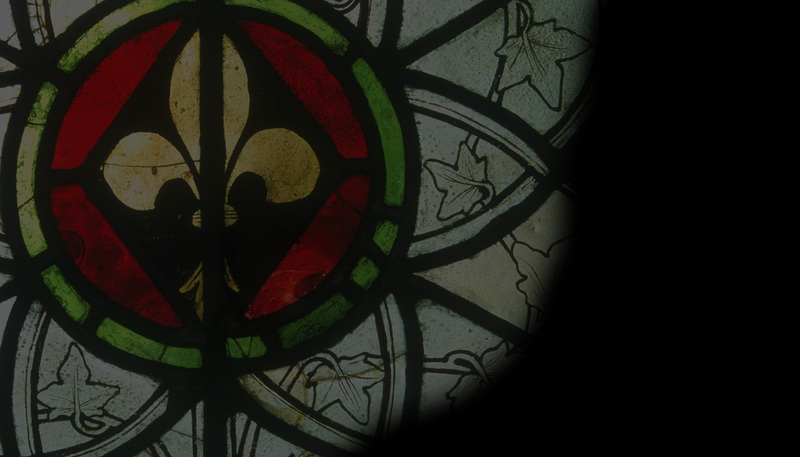 31 July – 1 August International Conference on Twentieth Century Stained Glass. See Vidimus no. 18. 25 October ICON conference ‘Stained glass conservation Techniques: Part & Present’. See Vidimus no. 19. A special tour of the famous stained glass at All Saints Church, North Street, York, took place on 12 July. In addition to individual figures of saints, the windows at the church include four major schemes: ‘The Pricke of Conscience’; the Seven Works of Mercy; the Joys of the Virgin; and the Nine Order of Angels. 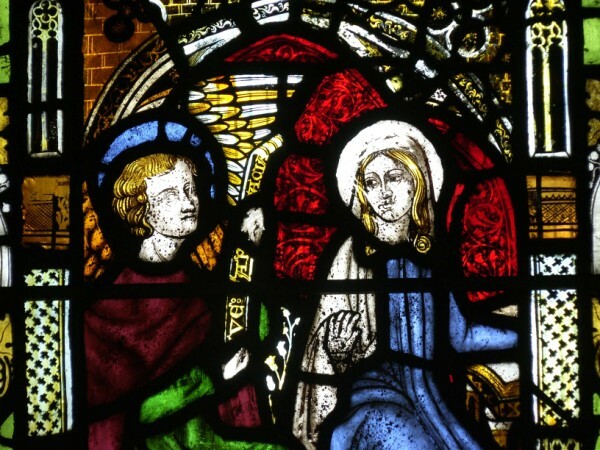 The fourteenth-century glass currently in the east window of the Lady Chapel depicts scenes from the Joys of the Virgin. 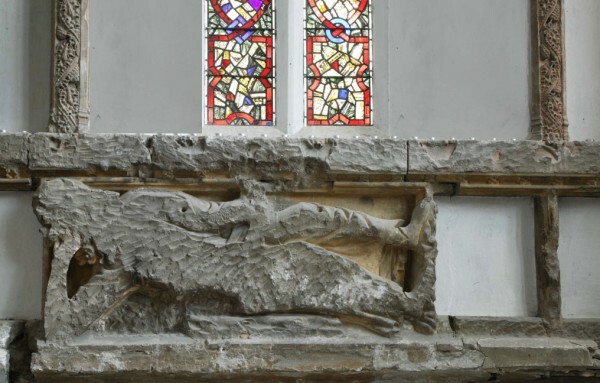 It was moved to this position in the 1840s from its former location in the east window of the chancel. Stylistically it is reminiscent of glass produced by Robert Ketalbarn in the 1330s for the nave of York Minster. For further information, visit the church’s website. To see more images from All Saints, North Street, visit the CVMA Picture Archive.